Four Wheel Heavy Duty Rollator Easy To Operate. This New Heavy Duty Rollator has been developed to provide comfort and convenience wherever you need to go. 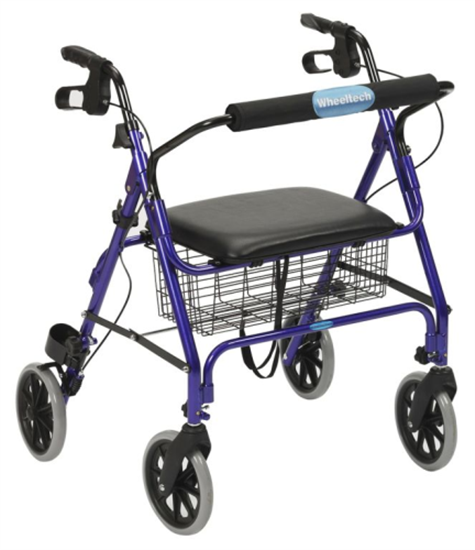 Increase your sense of security and safety with this easy to operate mobility aid. A 32”-37” handle height adjustment. My rollator has given me a we lease of life. I no longer have to rely on some else to take new out. I can now do it by myself.